Pabellones imperiales - La Ciudad Prohibida - China: Pabellón de la Armonia Media y al fondo el de la Armonía Protectora. 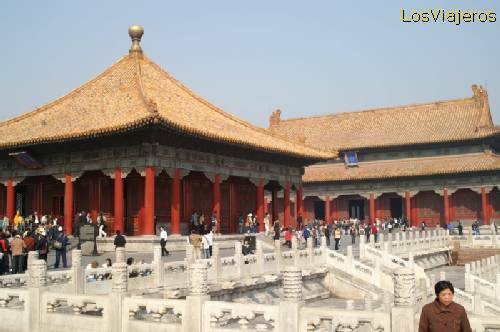 Imperial Halls - The Forbidden City - China: Hall of the Medium Harmony and, on the background, Hall of Protective Harmony. Friso de mármol -La Ciudad Prohibida -Gungong- Beijing - China The Forbidden City -Gungong- Beijing - China "Index"